Chances are good that if you keep your phone nearby while you’re working, you’re going to be tempted to pick it up every now and then, checking Instagram and sending texts. Get in the habit of doing it compulsively, and you’re sucking away a lot of time that you should probably spend focusing on the tasks at hand. 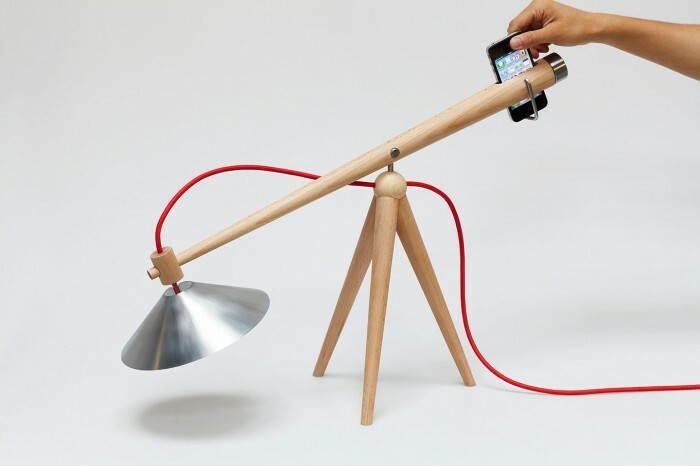 This lamp by designer Weng Xinyu aims to solve that problem by forcing you to give up your phone in order to illuminate your desk. 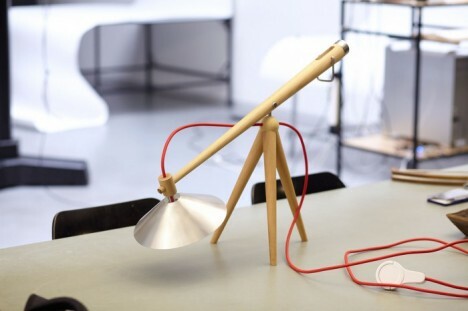 Consisting of a balancing lamp pole on a simple wooden tripod, the lamp leans its light source to the desk when it’s turned off. If you want light, you’ll have to insert your phone into the slot on the end of the pole. 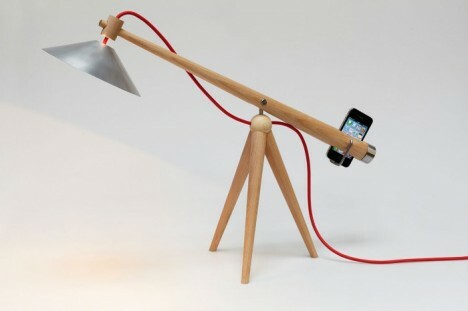 This turns the light on automatically and balances the lamp to its proper position. Sure, you could cheat and find some other object that fits into the slot so you don’t have to give up your precious smartphone. But as we all heard from authority figures throughout our childhoods, the only person you’d be cheating is yourself.